The Ashok Edicts is a famous tourist spot in the historical town of Junagadh, Gujarat. It is located on the peninsular region of Junagadh close to the hilltop of Girnar. This tourist spot in Gujarat attracts visitors from all over the world due to its rich historic heritage. It is a huge rock which has Dharma quotes inscribed on it across various eras with a metal pen. The rock is thereon engulfed under the roof of a white building that holds immense historical values. The edict is seven by ten meters in dimension. The Ashok Edicts is mainly an inscription that dates back to the era of the Mauryan ruler Ashoka. 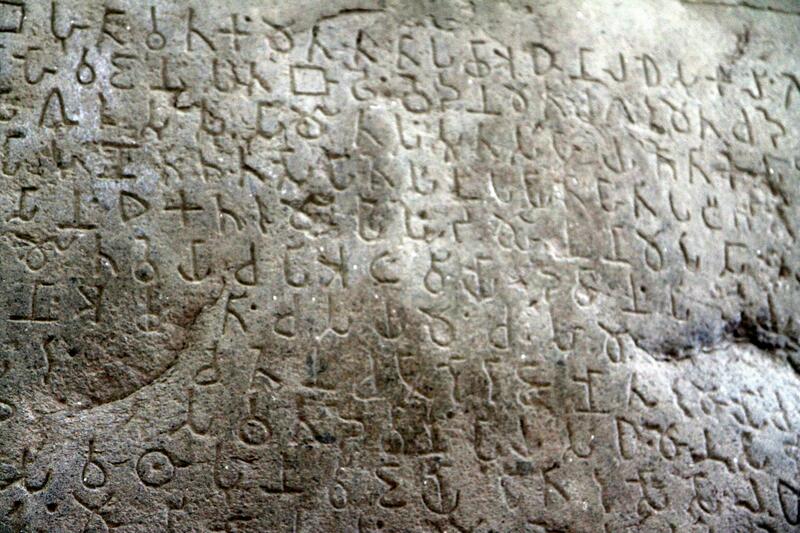 It comprises 14 famous edicts of Ashoka etched on a big boulder centuries ago. 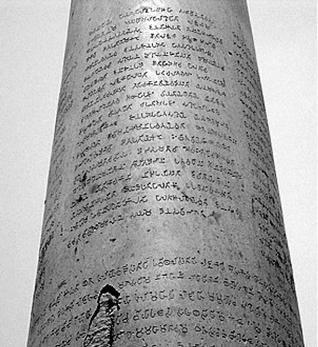 The historical edicts are world known for Buddhist followers as it revolves around the early establishment of King Ashoka into Buddhism. The heritage inscriptions are written in Pali and carry the Brahmi Script that dates back to the ancient era as old as 250 BC. The big rock also has Sanskrit scriptures etched in and around the 150 AD by Scythian ruler Mahakshatrap Rudradaman of Malwa who was a prodigy of the Western Kshatrapas kingdom. The history of the edicts also comprises the religious values of the Dharma of ancient Buddhist books. The tourists can also view the inscriptions of the last Gupta ruler, Skandagupta, from the era of 450 AD. The edict also holds writings on religious peace and harmony from the old eras of the kings and their different dynasties. One can also find the readings of Rudradaman I, and how he re-constructed the Lake Sudarshana which was earlier destroyed by heavy storm and torrential rain. The edicts are rich in historic value and attract a lot of visitors all round the year. The Ashok Edicts hold immense moral nobility as it is one of the most famous Buddhist spots in India. It is therefore a renowned tourist destination in Gujarat proclaiming its rich diversity in monuments and ancient buildings. The ancient monument is easily accessible from the city of Junagadh by local transportation but one can save a lot of time if private cars are hired to and from the city. The old fort city can be easily reached from Ahmedabad and Rajkot via rail and road. Veraval and Somnath are the closest railway stations to Junagadh with regular intercity trains. The best time to visit the Edicts is all round the year.